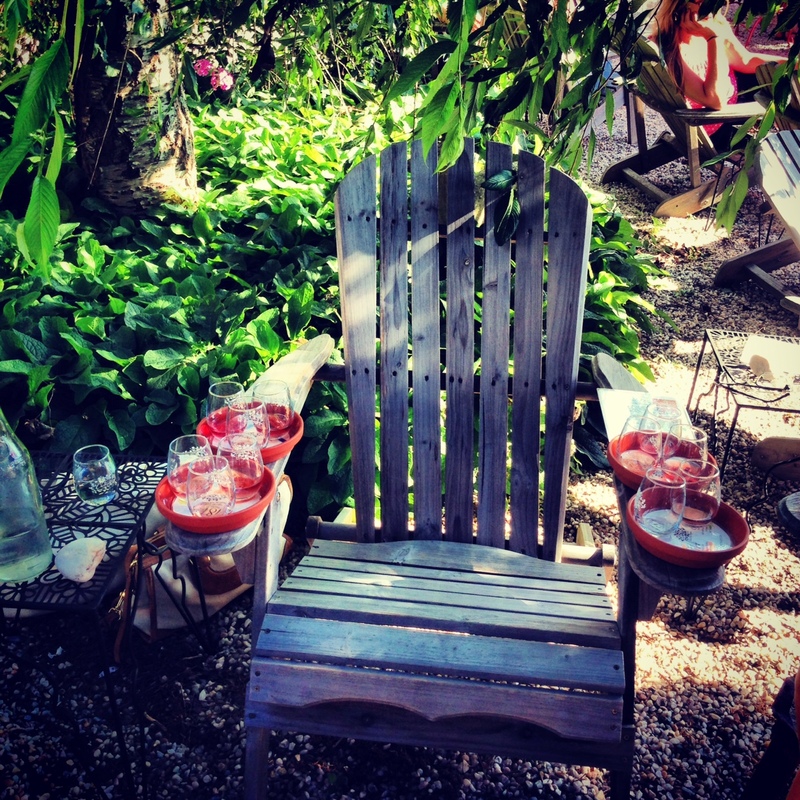 Oh hi, and welcome to the North Fork, where when you arrive you’re greeted with a chair full of rosé on each arm. 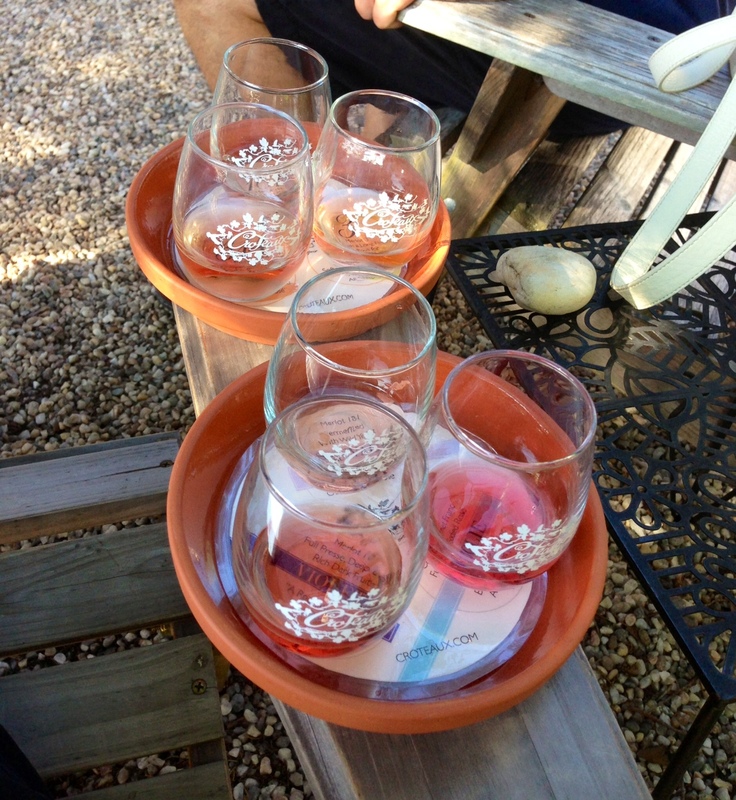 I went to Croteaux last year if you recall, the only winery in the US that makes only rosé which I think is pretty rad. Most of their rosé is made from Merlot, but my favorite rosé of theirs is made from Long Island’s other most popular grape, Cabernet Franc. Cab Franc on LI is pretty funky, but I love that it’s so interesting. It always makes a pretty full-bodied rosé, and Croteaux’s “Jolie” is all Cab Franc and has a really cool juniper/pine element to it. We chilled there for a while, also trying their sparkling rosé and one made from Sauvignon Blanc (it’s still technically rosé because they add some Cab Franc to it). But we had the 314 (all Merlot) with lunch the next day and it was perfect with the spicy gazpacho. Croteaux makes less than 3,000 cases, so they sell out well before the end of the summer. 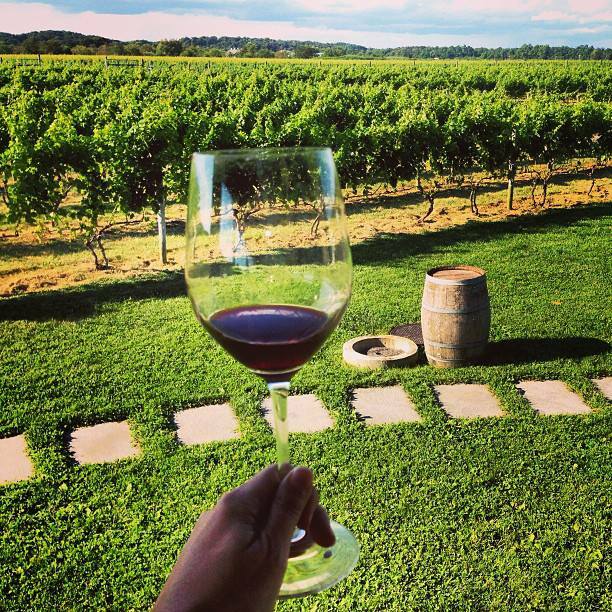 If you run out of rosé, then just grab some straight-up Cab Franc. I liked the one at Macari, and my favorite there was actually a blend of 50% Cab Franc and 50% Merlot (they should just call it the LI Special, but they call it Sette). 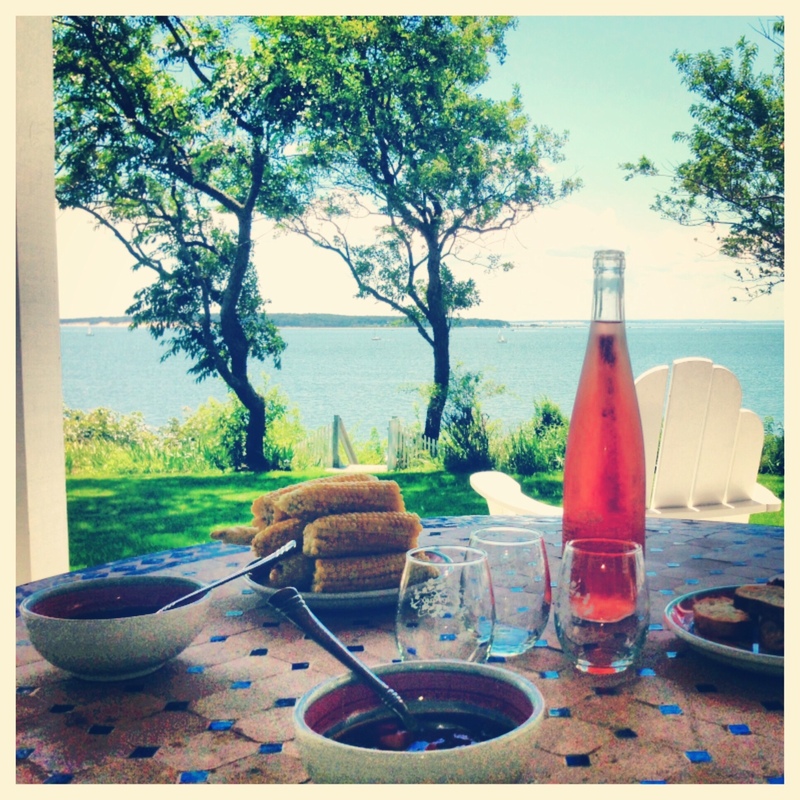 Til next summer, and more Cab Franc and rosé! Tags: cabernet franc, long island, merlot, north fork, Rose, wine. Bookmark the permalink. 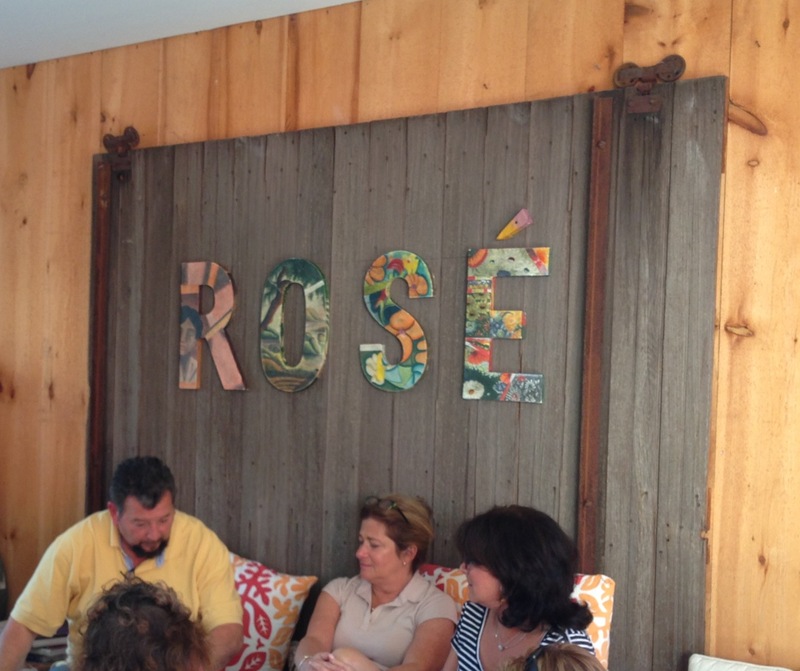 I love Rose’ – what a great picture with the Adirondack chair and all the wine!